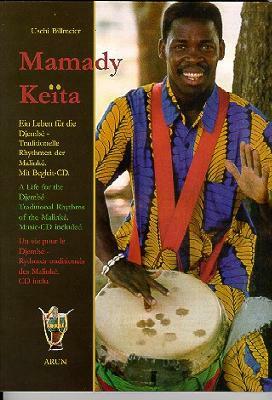 Sometimes called the "Master of Masters", Mamady Keita was born in 1950 in the small village of Balandougou, Guinea, West Africa. 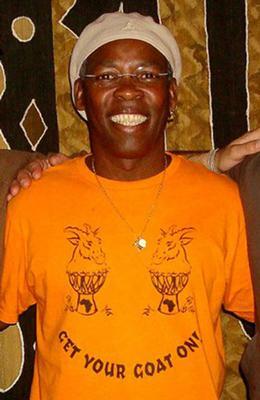 He has become one of the few Master djembe players in the world. Keita was chosen out of 500 artists to work under the direction of Harry Belafonte and President Sekou Touré in the National Ballet of Guinea and then went on to become the Artistic Director of the Ballet National Djoliba. Keita has won gold medals from the International and Pan African Festivals. He joined Souleymane Koli’s group, “Koteba” to perform next to African stars such as Touré Kunda of Senegal and Mory Kante of Guinea. He started his own group in ’88 called “Sewa Kan” (“the sound of joy”). He has starred in several films, has eleven CD’s and six instructional VHS/DVD’s. CD’s: Wassolon, Nankama, Mögöbalu, Hamanah, Afö, Balandugukan, Mamady Lee, Agiate, Sila Laka, Live @ Couleur Café and Mandeng Djara (some available on Amazon.com) . 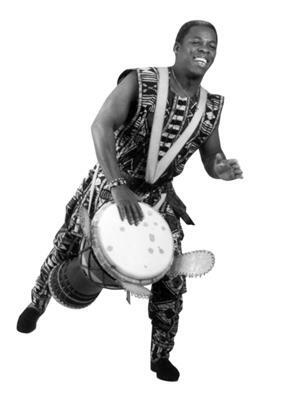 Keita founded Tam Tam Mandingue in ’91 in Brussels, Belgium (“Drums of the Mandingue”), schools for percussion, of which there are 15 branches now, in France, Germany, Japan, Israel, Singapore, Guinea and the US. This site might be old or something. He's kinda Rolling Stones famous.